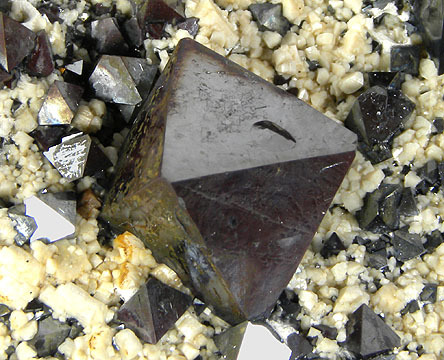 Many geometric solids actually occur in nature. 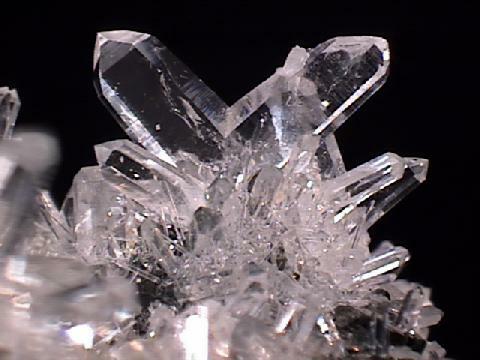 Mineral crystals grow into regular, geometric shapes. Tetrahedrite forms regular tetrahedral shaped crystals. It was first described around 1845 in Germany and is used as source of copper. Pyrite or “fool’s gold” in particular forms nice crystals. In the 16th and 17th centuries pyrite was used as a source of ignition in early firearms, creating sparks when stroked by a circular file. 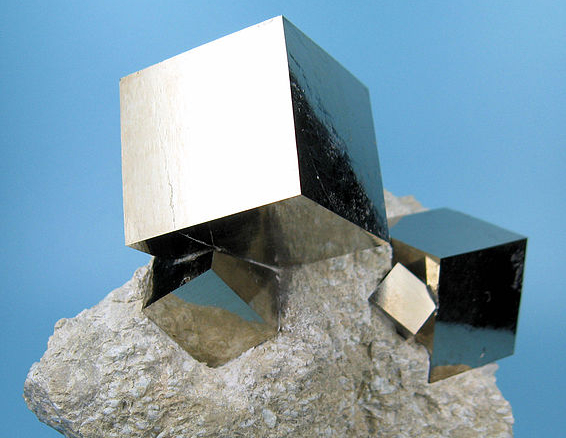 In the 20th century, pyrite was used as a mineral detector in radio receivers because of its sensitivity and dependability before the invention of the vacuum tube. 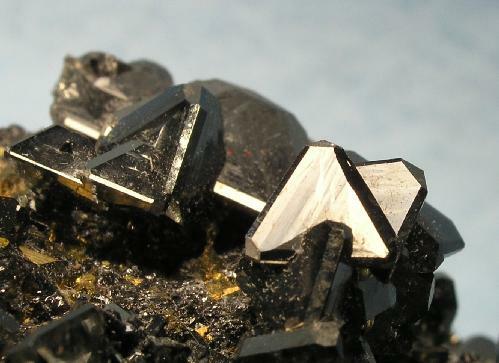 Magnetite is actually the most magnetic of any naturally-occurring mineral on Earth. By observing the attraction of magnetite to small pieces of iron, people in China during the 4th century BC and Greece in the 6th century BC first observed magnetism. Naturally magnetized pieces of magnetite called lodestone or “leading stone” in Middle English formed the first magnetic compasses. 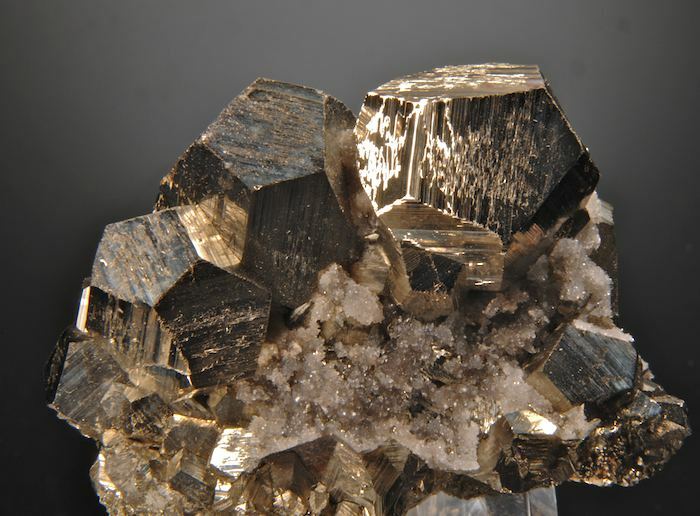 Pyrite is also one of the few minerals to form dodecahedral crystals. Artificial geometrical models have been found in Europe dating back as early as the 5th century BC. Many think that pyrite crystals inspired these models. Quartz crystals form hexagonal prisms. The long prism faces always make a perfect 60° angle and split light into a spectrum. One of the most common uses of quartz today is in clocks because the quartz crystals have a very regular frequency. 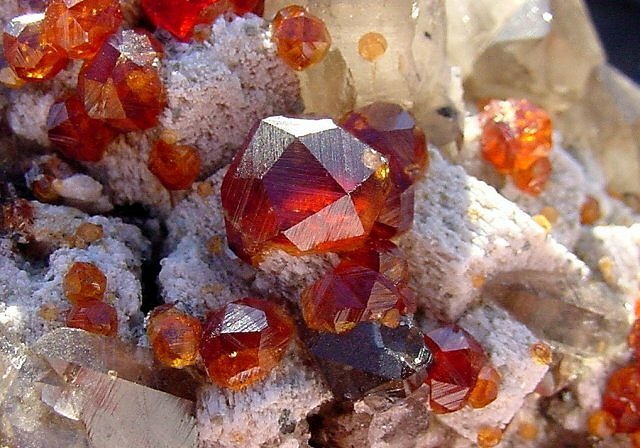 This entry was posted on December 20, 2013 by michelledelcourt in Math Education, Outreach and tagged geology, geometry, minerals, rocks.